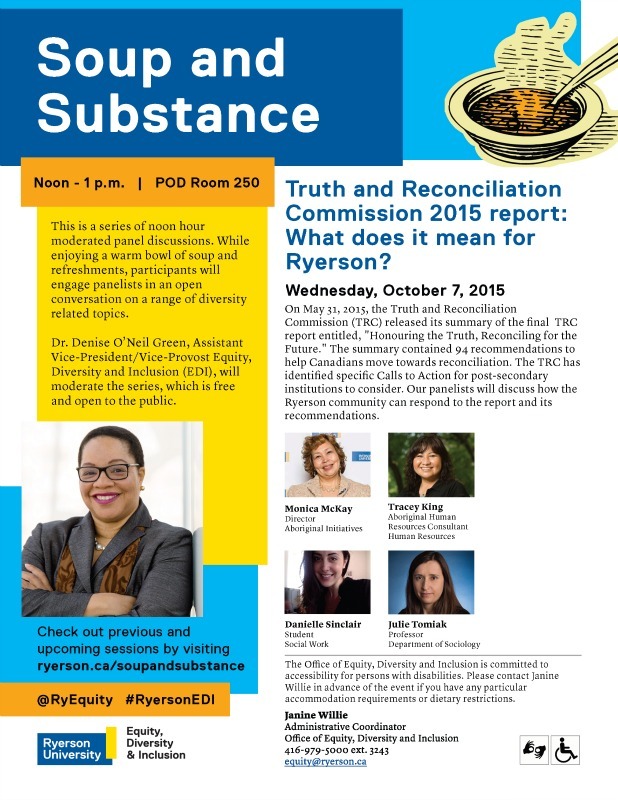 On Wednesday, October 7, 2015, the Division of Equity, Diversity and Inclusion (EDI) at Ryerson University presented the Truth and Reconciliation Commission 2015 Report: What Does It Mean For Ryerson? Soup and Substance Series Session, where panelists discussed the Truth and Reconciliation Commission (TRC) final report entitled, "Honouring the Truth, Reconciling for the Future", which contained 94 recommendations to help Canadians move towards reconciliation. The TRC identified specific Calls to Action for post-secondary institutions to consider, and our panelists explored how the Ryerson community can respond to the report and its recommendations. 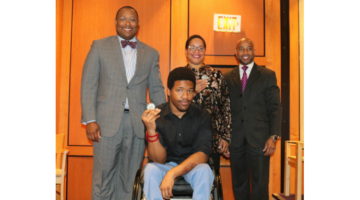 The Division of Equity, Diversity and Inclusion (EDI) at Ryerson University presents the Soup & Substance Series, a series of noon hour moderated panel discussions held at Podium (POD) 250 (unless otherwise noted). While enjoying a warm bowl of soup and refreshments, participants engage panelists in an open conversation on a range of diversity related topics. 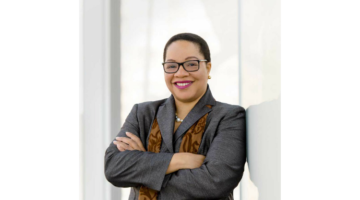 Dr. Denise O’Neil Green, Assistant Vice President/Vice Provost of Equity, Diversity and Inclusion (EDI), moderates the series, which is free and open to the public.